The gang is back and in high spirits rediscovering that The Search, Part II is one of the biggest, best, and most important episodes in all of Deep Space Nine! And what better way to recognize its greatness than by waxing rhapsodic on the Rainforest Café, the E.T. novelization, Clint Eastwood and his deep connection to DS9, Mother (the movie, not the video game or parent), Larry David on the Enterprise D, and the general shittiness of McDonald’s. 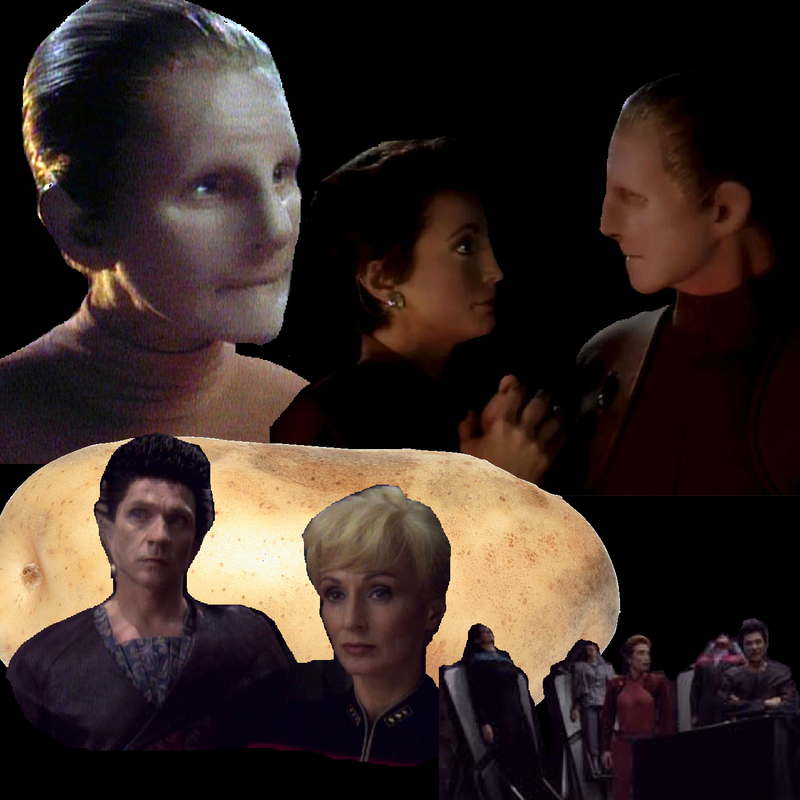 Seriously though, we have a LOT to say about the sad revelations Odo must face, the strange etymology of the word “Changeling”, the gentle humanity of Kira, the dispiriting madhouse the Defiant crew has found themselves in, and in general the profound impact this episode would have on the rest of DS9. And of course, POTATOES. We just think they’re neat.